Anyway! 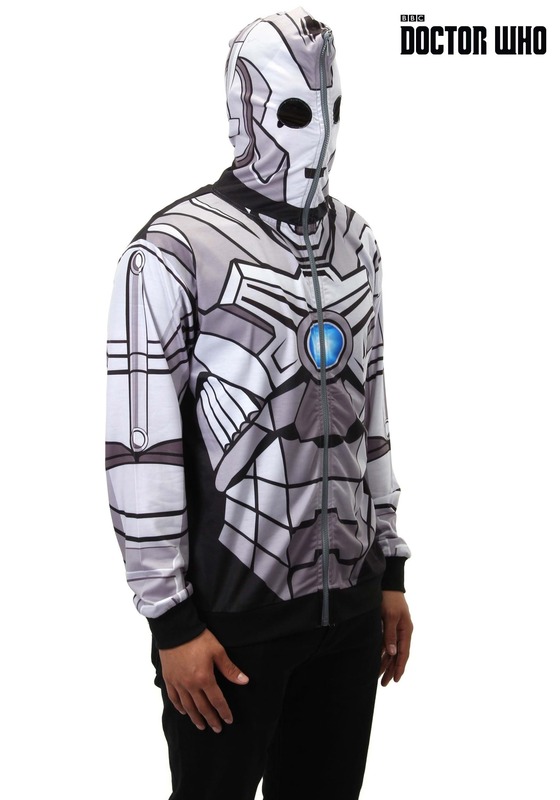 What we’re trying to say is: dressing up in this officially licensed Cyberman zip hoodie will not only keep you warm, but the mesh eye holes and zipper that goes all the way to the hood will keep you looking menacing enough to make The Doctor - and anyone else with a bad joke, we guess - running straight to their precious Police Box. Plans enacted!